I've been battling some serious bouts of insomnia over the past couple of months, and have become somewhat of a connoisseur of good sleep music. There's nothing worse than listening to the soft coos of blue whales in the Pacific and drifting into a warm, comfortable place when you're suddenly woken by the not-so-dulcet tones of a voice actress for Walgreen's corner store of happy and healthy. Though I've long been an insomniac, as I've gotten older, my tried-and-true methods simply don't work anymore. Gone are the days I could fall asleep, filled to the brim with exhaustion, to the glow of the television screen or the din of late night radio. Below, I share some of my favorite apps and audio files to help you reach your happy sleep place. Esther Teule's videos are by and far my favorite method of getting to sleep. Meditation isn't supposed to serve that purpose, exactly, but her meditation videos have been the most consistent in helping me fall asleep. She operates as part of the Ekhart Yoga YouTube channel, which I also recommend for a gentle yet informative yoga practice. But more on that another day. I was first introduced to binaural recordings about three years ago, when I stumbled upon this great haircutting video. Since then, it and ASMR have blown up on YouTube, running the gamut from "mystery" texture sounds (rocks, paper, eating, etc.) to roleplays of all kinds (spas, facials, makeup applications, etc.). ASMR stands for "autonomous sensory meridian response" and is basically an aural experience that gives you the physical sensation of tingles, and encourages relaxation. I don't care too much for the tingles but more for the depth of audio, which ASMR often incorporates through binaural recording -- the use of two microphones placed in a way that simulates a three-dimensional audio experience. My favorite, after all of this time, is still the sounds of a haircut, particularly those that include a wash and cut with scissors. There are so many to choose from today, including those without speech, so pretty much anything that might help you sleep is probably in existence. I started using what I'm going to call "sound" apps last summer when I was paired briefly with an unfortunately loud roommate. I tried some white noise apps which did not do the trick and certainly didn't do anything to help me fall asleep. That's when I discovered Rain, Rain and Sleep Pillow (only available for iOS). What I like about these apps are that 1) they're free (though you can pay for additional sounds and features), 2) they have "sleep" timers, and 3) they allow you create mixes of your favorite sleep sounds. Both apps contain water/rain sounds (Rain, Rain has more "types" of rain available than I knew existed -- Summer Rain, City Rain, Forest Rain, Rain on a Tent, etc) as well as other ambient sounds, like crackling fire, thunderstorm, forest sounds, wind, ocean. Rain, Rain's long list of sounds are more specific to water, nature and clothes washing (! ), while Sleep Pillow offers a wider variety of sounds, from lullaby music to whale calls and even an anxiety-inducing clock ticking. On the topic of sleep timers, Rain, Rain's sleep timer allows you to keep the app going for up to a whopping 24 hours, while Sleep Pillow limits you to 75 minutes. 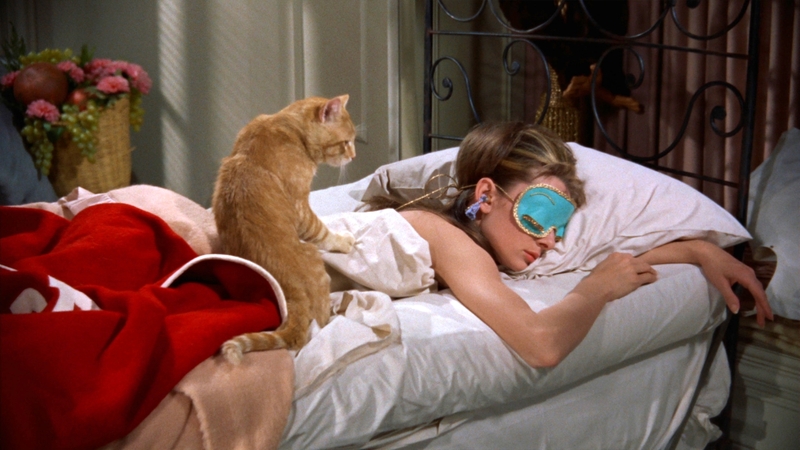 At last, one of these sleep-oriented apps truly understands insomniacs! What methods have you used to ease yourself into sleep?